When we were deciding what to call our winery we wondered; "What is it about wine that captivates us, that keeps us coming back for more, and that still interests us after all these years?" Some people like to know where the wine comes from. Others like to know who made it or how it will change with time. The foodies want to know what flavours they will find in their glass and how it will pair with a certain dish. We're all intrigued about wine. It's constantly changing and evolving. That is part of the excitement and allure of winemaking. We came together as partners out of a passion for wine. The strength of the partnership is in the complimentary experience that each of us brings to the table. A winemaker, an accountant, an internet entrepreneur and a business advisor. We are able to accommodate large tour groups (50+ people) Do not have a tour of our facilities available. 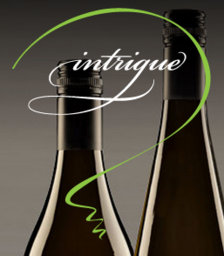 At our Wine Shop, online at our website, at VQA stores in the lower mainland and Okanagan, and assorted private liquor stores in BC. We have a picnic area that can accommodate 150 people, and sell pre-packaged sausage, cheese, crackers, and preserves for consumption out there.